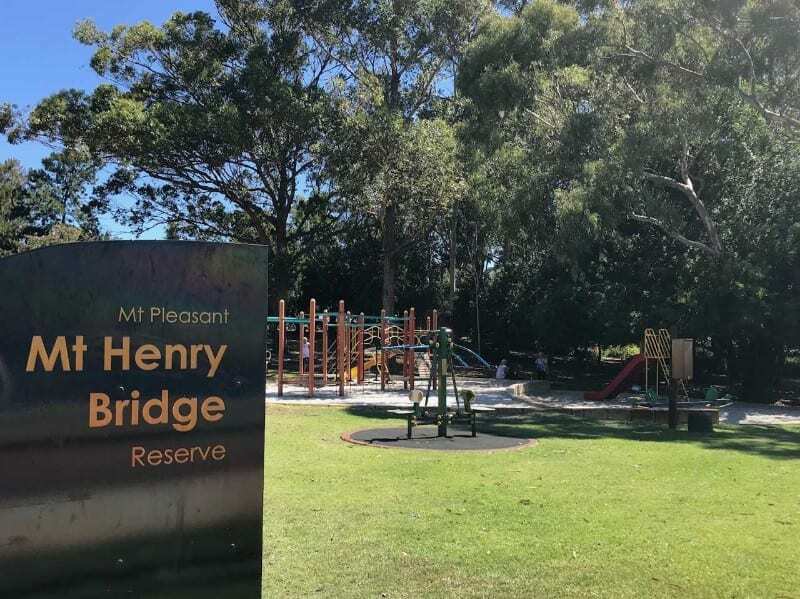 Mount Henry Bridge Reserve is a multi-use recreation area on the river in Mount Pleasant. 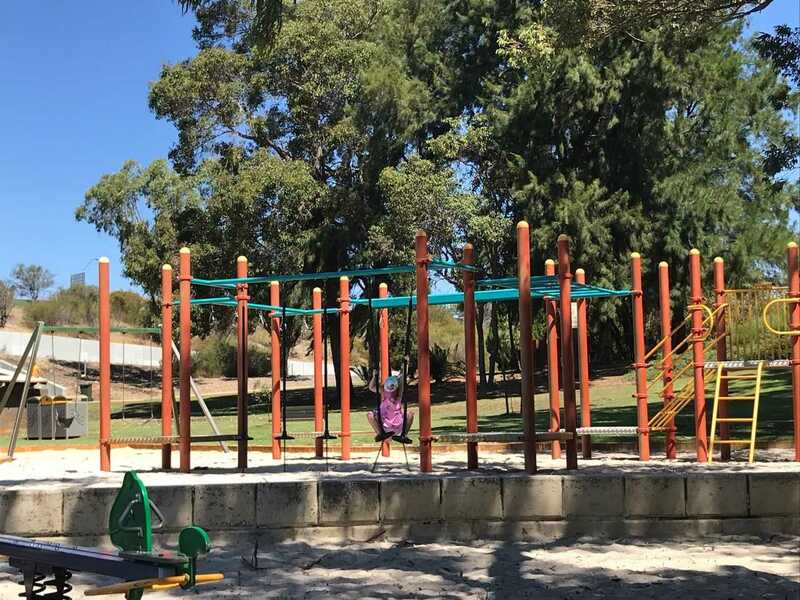 It is situated in the shadow of the Mt Henry Bridge, and has a great kids playground and an on-site cafe. The first thing we did on arriving was grab some lunch at the Kerbside Cafe. This is a food van which is permanently located at the park. They sell hot and cold drinks, ice cream and delicious toasties. You pick your fillings and the friendly staff make them up on the spot. The price of toasties ranges between $6 and $8, and coffees range from around $3 up to $5.50. There are shaded tables and chairs available on the grass to relax at whilst you eat. 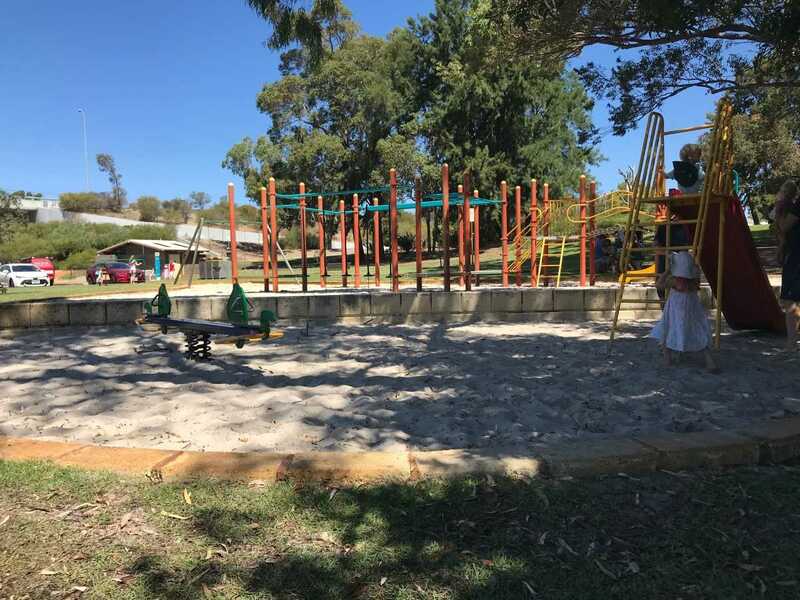 On the other side of a small car park, there is a great playground with a sand base. This is divided up into a bigger kids area and a toddler area, and is partially fenced off from the road. The bigger kids area is great for energetic kids who can play more independently. There’s a row of pommel swings to balance across, a flying fox and hanging rings to swing across. 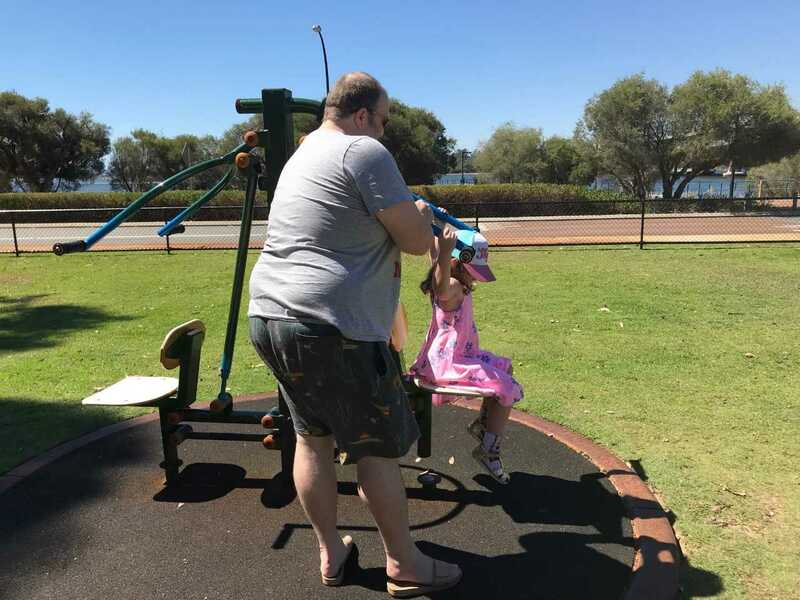 Miss 4 loved the pommel swings in particular. In addition, there are monkey bars to swing across, climbing ladders, a bridge and a fireman’s pole. The highest level of the playground has a curved slide coming down. 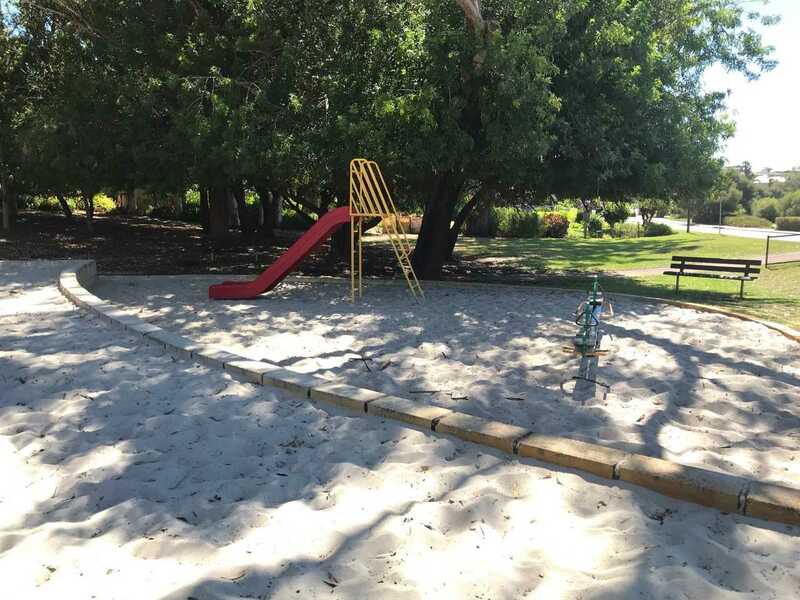 In a separate section of the sandpit, there is a smaller slide suitable for smaller kids. Miss 4 enjoyed this, as did other 3 and 4 year olds playing here. This play area also has a spring rocker seesaw. Great for rocking with a friend or sibling. There are no shade sails covering this playground. However, there are large well established trees shading the equipment in the early afternoon. For earlier visits, I’d suggest packing hats and sunscreen. 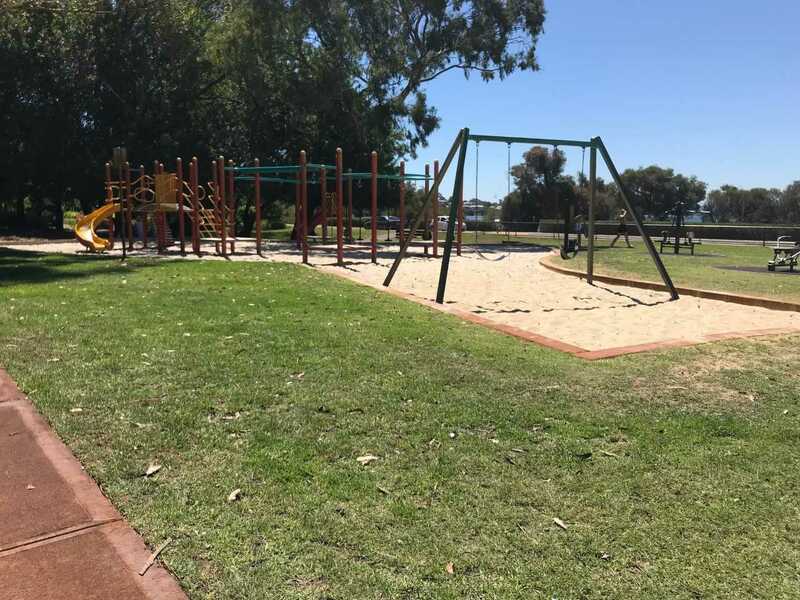 A lovely grassed area surrounds the playground. On one side, there is a picnic table and chairs. Handy if you’d like to bring down a picnic to share. We also found another park bench under a tree closer to the road. 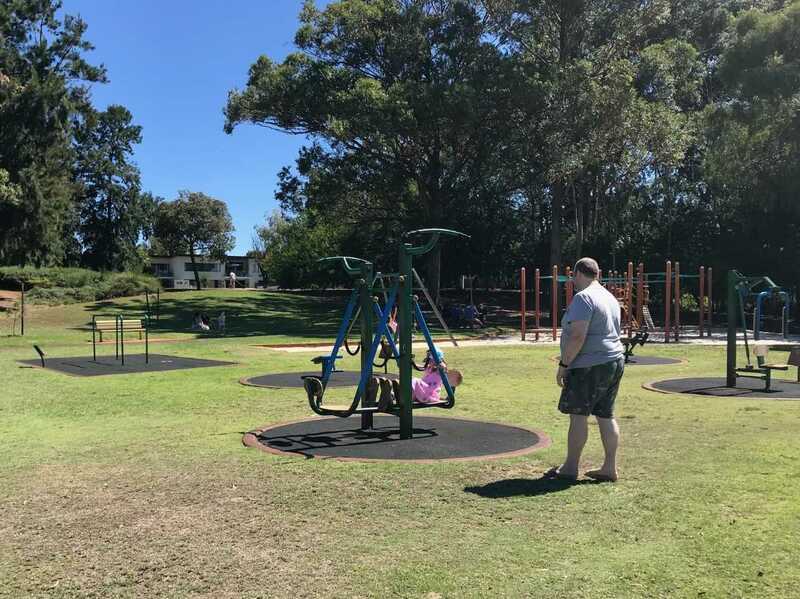 Adjacent to the playground on the side closest to the car park there is free fitness equipment. Much of this is resistance training using your own weigh. Miss 4 enjoyed exploring all the stations with her Dad, working out what did what. 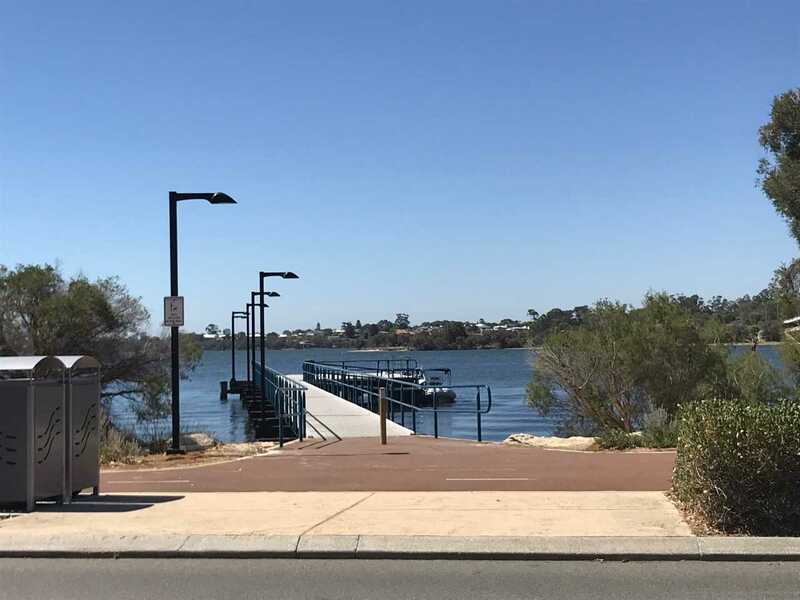 Across the road from the reserve, there is a walking path running around the river, and there is a jetty. On the day we visited, there had been people fishing. It would be a handy spot to stop of you were kayaking along the river. With the cafe available, Mt Henry Bridge Reserve has become a popular spot with local mum’s groups. It’s an excellent spot to meet up for a coffee or take a walk around the river. Located at 241 The Esplanade, Mount Pleasant. 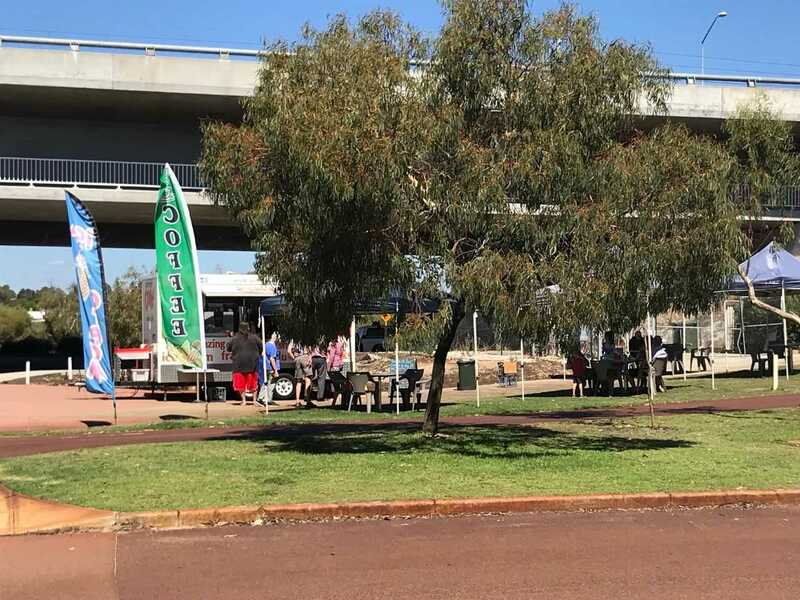 Parking is available on-site or along the Esplanade. Public toilets are located adjacent to the car park. 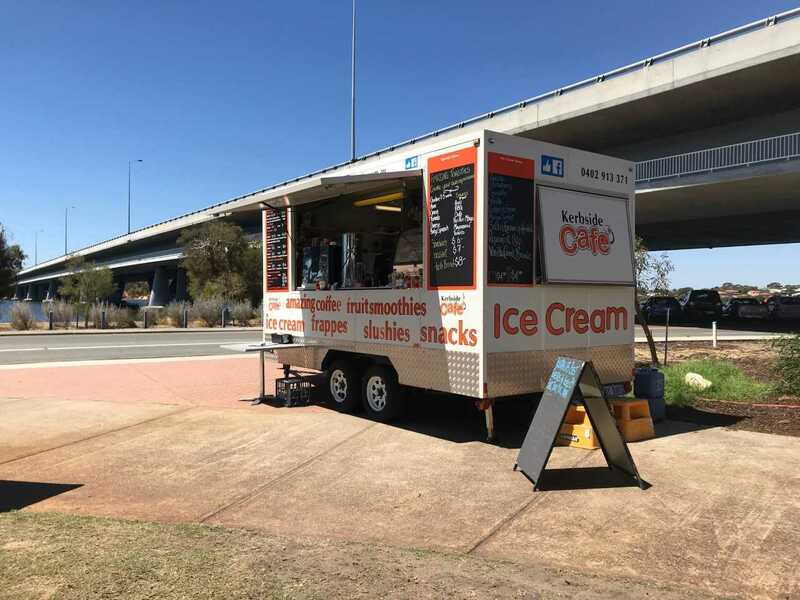 The coffee van is available on-site 7 days a week.